How can you use the popular 140-character social media site Twitter to drive more traffic to your website? Ensure you have a bio that tells people who you are and includes a link to your company website or a landing page. Find out who the influencers are in your target area(s) and interact with them regularly. You can do this by using Twitter search to find like-minded prospects, customers and influencers/media by searching the keywords that relate to your business. Get friends and co-workers involved. Enlist the help of friends and co-workers to build your brand. Ask them to follow you on Twitter and to retweeting and engage in your tweets. By tweeting regularly it’s a sign that you have a healthy and active profile. We recommend daily postings and engagement so that you are regularly visible, however, be sure you are tweeting relevant or useful information, content your followers will read, click on, retweet and/or favourite. Don’t be afraid to ask for some Twitter love. Ask followers to retweet, mention or favourite your tweets — or to share content with a fresh tweet. Track any mentions and respond if appropriate. However, always respond in a polite, professional manner, remember customer service is the new marketing. Don’t be afraid to retweet as this will help link you with thought leaders in your industry. If your favourite someone’s tweets it can get someone’s attention, sometimes more than a retweet or a mention. Look at the trending topics and hashtags and find a way to make a relevant connection to your business. This will help put your business among the trending topics and you will be seen when people search tweets regarding that particular hashtag. Offer discounts or special deals to Twitter followers. Photos and videos drive three to four times more clicks on Twitter. 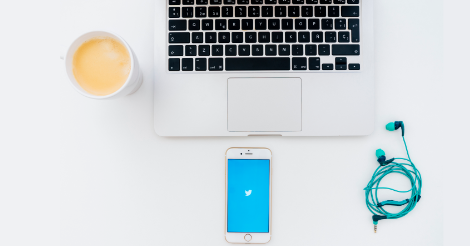 Ensure you directly target your audience with Promoted Tweets, failing to define exactly who you’re trying to reach could cost you time and money. Integrate Twitter with your other marketing efforts. For example, if you’re running a promotion or contest on Twitter, let your email subscribers and Facebook followers know about it. Use Twitter’s native analytics daily to understand what’s resonating and what’s not with your audience. In the analytics dashboard, you’ll be able to tell what your best days to tweet are, the types of content that are more favoured and the demographics of the followers that you’re attracting. To find out more about our Twitter and Social Media see our Social Media Services.